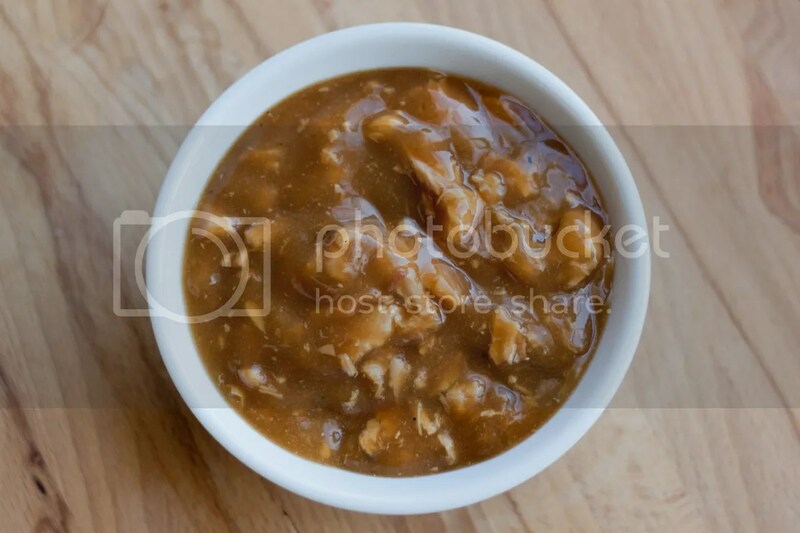 Creating a turkey gravy is pretty easy. Essentially, you just use all the stuff that comes from cooking a turkey. The only real trick is get the taste right. Luckily, you’ve got me to figure that part out for you. The amount of broth you use for this recipe depends on how much gravy you want, and whether or not you’re going to have drippings left over after cooking your bird. For example, if you’re going to roast your turkey in the oven then you’ll likely have about a cup drippings to use; if you smoke it on the grill you may not have any. I’d say 1/2 a cup of broth per person is a pretty accurate measure of how much you’ll need. Melt the butter in a pot on medium heat. Add the turkey parts and brown them for a few minutes. Next, add the chopped onion and simmer until the onions soften, about five more minutes. Add the broth and bay leaf, and bring it to a gentle boil; reduce the heat to low and let it simmer while the turkey cooks (at least two hours). After the turkey is done and resting, add your pan drippings (if you have any) to the broth. Pour everything into a fat separator lined with cheesecloth, and press the parts/onion down to squeeze all the juice out that you can. Return the broth to the pot (minus the fat). If you like, you can chop up the turkey parts and add them to the broth. Bring the broth back to a gentle simmer as you carve the turkey. 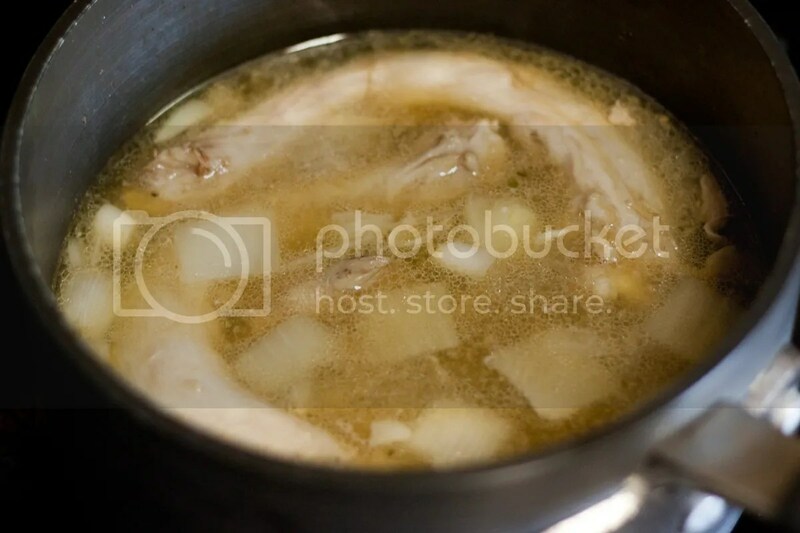 Once your turkey is sufficiently dissected, chop up any leftover turkey trimmings and add them to the broth, as well as the cream. Allow it to simmer for about five minutes, stirring often. Add salt and pepper to taste. Mix the potato/arrowroot starch with a little water, and then stir in about half of it to the gravy. Let it simmer for a few more minutes, while stirring, as it thickens – if it isn’t thick enough, add the other half of the starch and let it simmer again. That’s it – serve immediately. I should add that this is the exact same method that I’ve been using to make chicken gravy as well – but with, you know, chicken parts. Um… YES PLEASE. This looks delicious. I’ve never made my own gravy before but then again, I don’t use gravy very often. Pingback: 50 Paleo Thanksgiving Recipes | Oh Snap! Let's Eat! Pingback: 40+ Grain Free Thanksgiving Side Dishes! | Oh Snap! Let's Eat! I did make this gravy today it wasn’t so brown more like country gravy and it turn a little slimie as it cooled down what did I do wrong? Taste was good what is while cream? My daughter in law thought you could of meant coconut milk instead. Cream is this 1/2 & 1/2 or whipping cream? How is this paleo with butter and heavy cream in it? I followed a link from a paleo thanksgiving and see your site is paleo as well. I am saddened that I cannot use this because it isn’t paleo.